Italy’s Tirreno-Adriatico stage race, running nearly simultaneously as Paris-Nice, has long been the stage race for sprinters preparing for Milan-San Remo. They will be in for a surprise, though, when the race starts on Wednesday. This year’s edition kicks off with a team time trial and instead of the final sprint stage, there is an individual time trial. Mark Cavendish, Tyler Farrar, Oscar Freire, Tom Boonen, Alessandro Petacchi and World Champion Thor Hushovd are still using Tirreno-Adriatico for preparation. It worked last year for Freire and in 2009 for Cavendish, they both went on to win San Remo. In fact, you have to go back to Andrei Tchmil in 1999 to find a San Remo winner that raced Paris-Nice beforehand. The sprinters will still get their race training, though the overall will truly go to a well-rounded classification rider. There are a few to select from, too: Cadel Evans, Andy Schleck, Ivan Basso, Vincenzo Nibali and Robert Gesink. The classification contenders will have to manage themselves well from start to end as there are only two off days. Cavendish and company will be able to fire in a pre-San Remo test on the second and third stages, Thursday to Indicatore and Friday to Perugia. For the first time in Tirreno-Adriatico’s 46-year history, organiser RCS Sport has included a team time trial. The race starts in Marina di Carrara with a dead-flat 16.8-kilometre test, perfect for Sky, HTC or Liquigas. There are no big mountains – the highest pass is Sasso Tetto midway into stage five – but there are three demanding mountain days. Think back to the 2009 Giro d’Italia, those two mid-mountain stages along Italy’s Adriatic coast (Faenza and Monte Petrano) that were similar to back-to-back versions of Liège-Bastogne-Liège. That’s what the cyclists will cover in stages four through six, with stages four and five both at 240 kilometres. Tirreno Adriatico will be shown on satellite and cable channel British Eurosport. Times may be subject to change. 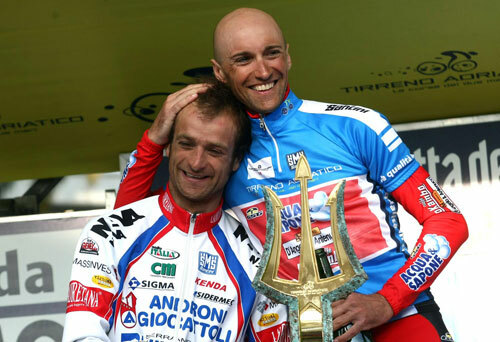 Tirreno-Adriatico 2011: Who will win?